The Thomases and Wilde’s Story Are World Fantasy Award Finalists! More excellent award news, Space Unicorns! The World Fantasy Award Finalists have been announced! 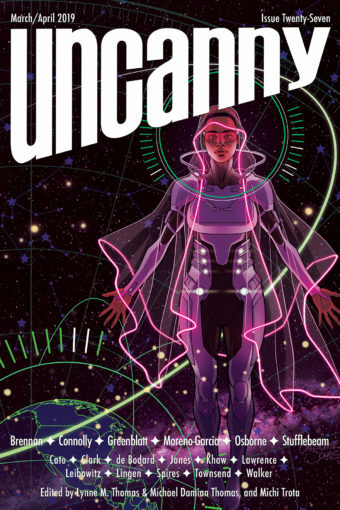 Once again, Lynne M. Thomas and Michael Damian Thomas are finalists for the Special Award, Non-Professional World Fantasy Award for Uncanny Magazine! Also, “Clearly Lettered in a Mostly Steady Hand” by Fran Wilde is a finalist for the Best Short Story World Fantasy Award! We are thrilled and honored! Congratulations to Fran and all of the finalists!